When Jason landed at Colchis to capture the golden fleece, Medea fell in love with him and, despite her father, helped him. Medea and Jason have had two children during their life together, but at the opening of Euripides’ Medea, Jason and his father-in-law-to-be, Creon, say Medea and her children must leave the country so that Jason may marry Creon’s daughter Glauce in peace. Medea asks for and is granted one day’s reprieve, but King Creon was right to be fearful. During that one day’s time Medea confronts Jason, who blames Medea’s banishment on her own temper, rubbing salt into the wound. Medea reminds Jason of what she has sacrificed for him and what evil she has done on his behalf. She reminds him that since she is from Colchis and is therefore a foreigner in Greece, without a Greek mate, she will not be welcome elsewhere. Jason tells Medea that he has given her enough already, but that he will recommend her to the care of his friends (and he has many as witnessed by the gathering of the Argonauts). Jason’s friends need not be bothered, as it turns out, since Aegeus of Athens arrives and agrees that Medea may find refuge with him. With her future assured, Medea turns to other matters. Medea is a witch. Jason knows this, as do Creon and Glauce, but Medea seemed appeased, so when she presents a wedding gift to Glauce of a dress and crown, Glauce accepts them. When Glauce puts on the robe it burns her flesh and she dies. So far the motives and reactions seem understandable, but then Medea does the unspeakable. She murders her own two children. Her revenge comes when she witnesses Jason’s horror as she flies off to Athens in the chariot of the sun god Helios, her ancestor. What I tried to achieve here is the emotional impact of the tragedy of Medea. Her desperation, shown in her physical stance, and her murderous resolve, as shown in her vacuous stare. The older boy is aware that something is wrong and shows trepidation. The younger boy is not as aware, and shows the arrogance of his father, Jason. 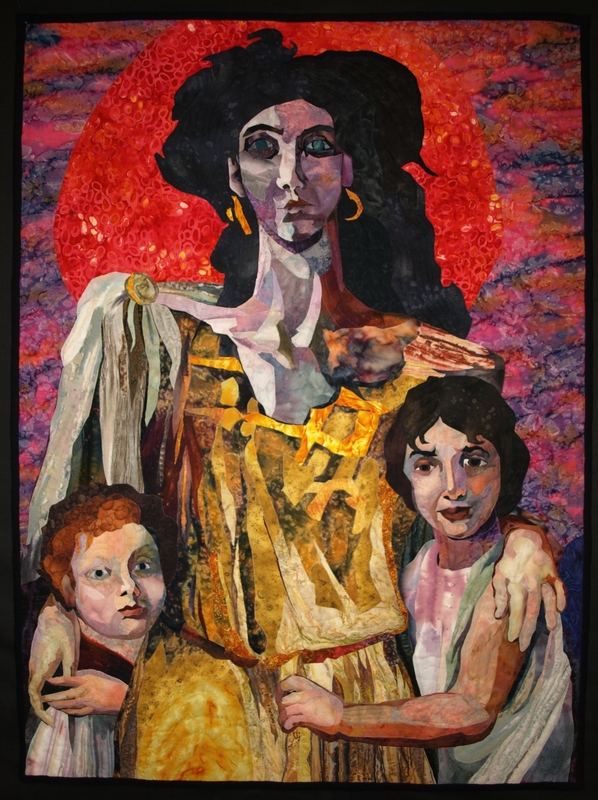 According to Euripides, Medea is genuinely torn between her maternal love of her children and the fierce desire for revenge that compels her to kill them.